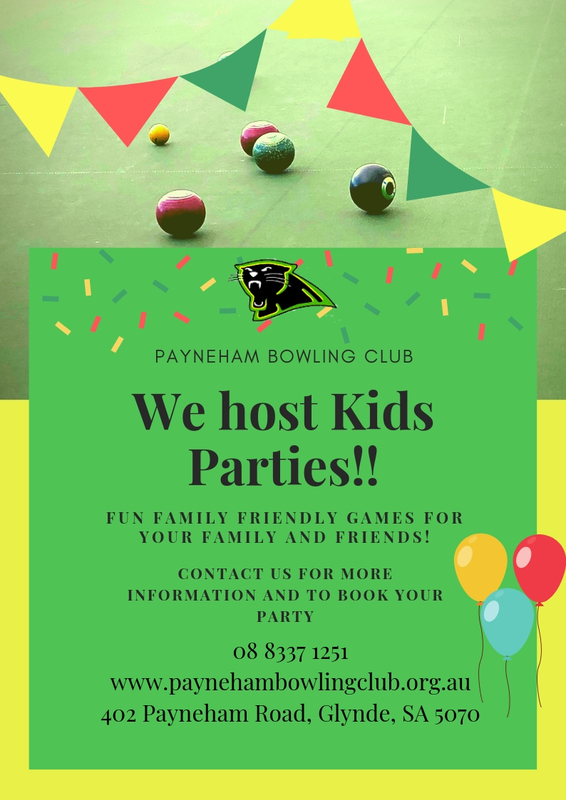 Payneham Bowling Club is one of the largest bowling Clubs in South Australia and located close to Adelaide CBD. Take a short drive up Payneham Road and you will find “A City Club with a Country Feel.” With three greens, a large function room, kitchen, and fully stocked bar, we have a space that is versatile and inviting as well as bowls that are as relaxing or competitive as you like. There are more than 400 members in the club playing in six open pennant teams on Saturday, four men teams on Wednesday and three women teams on Thursday, on a home and away basis from October to the end of March. These teams are known as the “Payneham Panthers”. And that is just the Pennant Season! The club hosts many pre-season and post-season tournaments, as well as regular social games so our greens are in use all year round. What else do we do at Payneham Bowling Club? We enjoy hosting Night Owls Competitions on Tuesday and Thursday Nights. We host many private and corporate functions of all shapes and sizes. Ask us about having your party, training day or just a fun time out with friends, family or work mates. We hold regular annual events such as Melbourne Cup Luncheon, Quiz nights and other fun nights (or days) out. Check out our What’s on page or Facebook with up to date events.